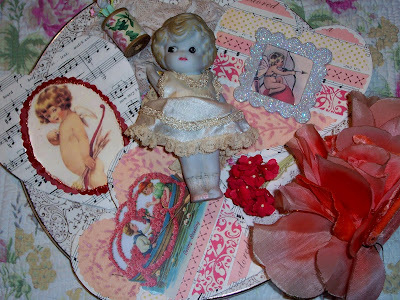 Recycled Rita: Happy Heart Day! My husband and I always have a quiet, sweet Valentines at home. That way my kids are included and we are not amongst the crowds at all the local restaurants. I hope you have a wonderful day, spending it with the people and critters you love! Sounds lovely, Karen! We always did the actual day at home as well, so that the kids would be included. My husband and I go out on the weekend. I hope you're having a wonderful Valentine's!